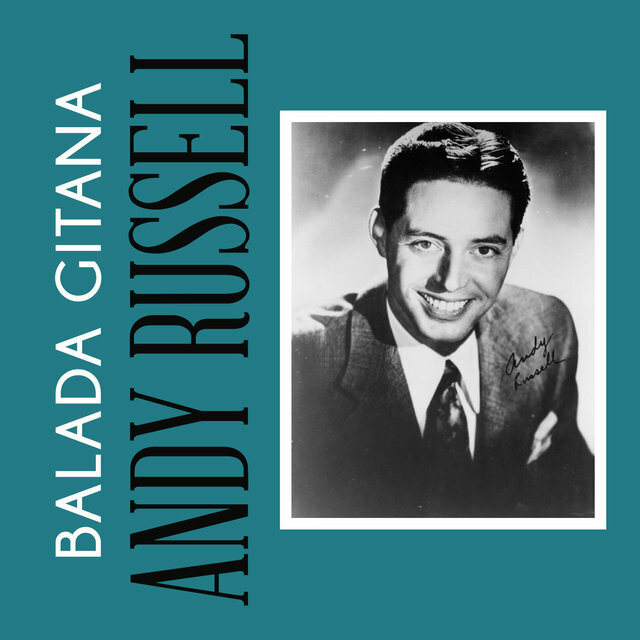 b. Andres Rabajos (or Rabago), 1920, Los Angeles, California, USA, d. 16 April 1992, Phoenix, Arizona, USA. 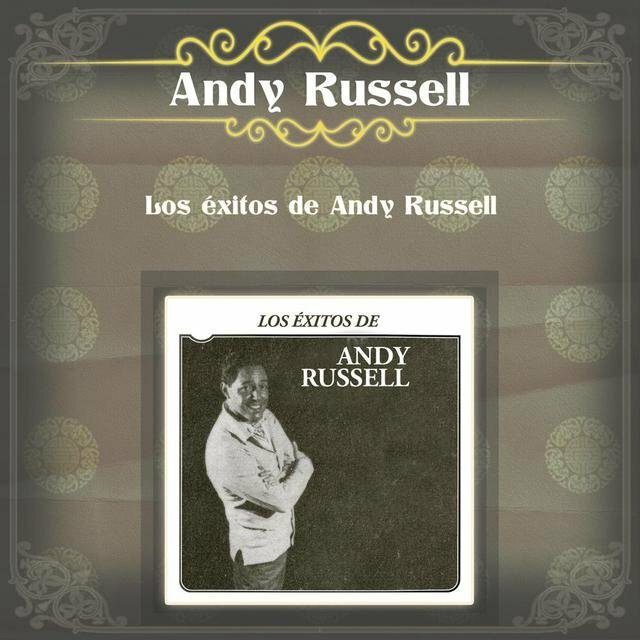 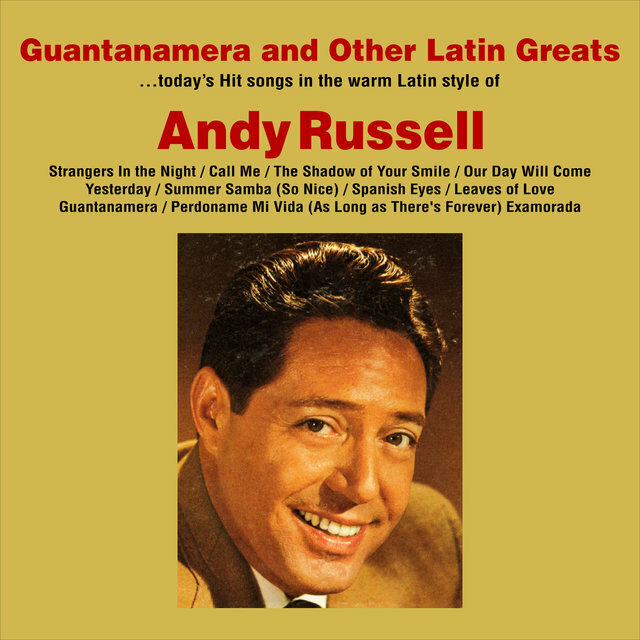 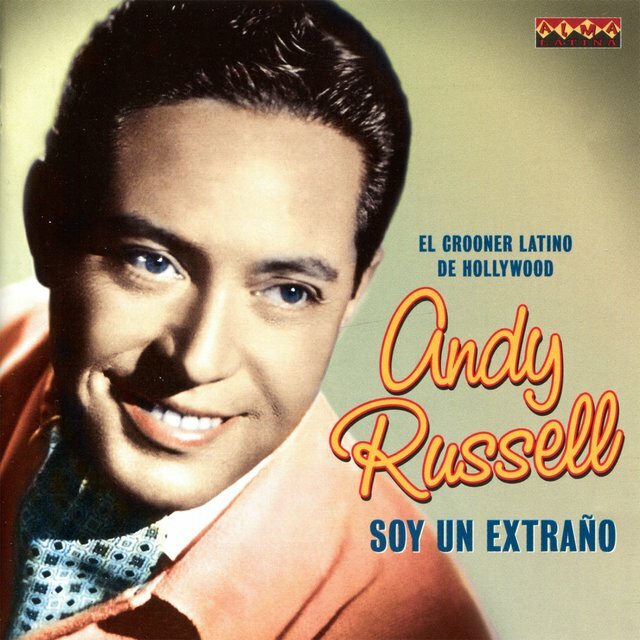 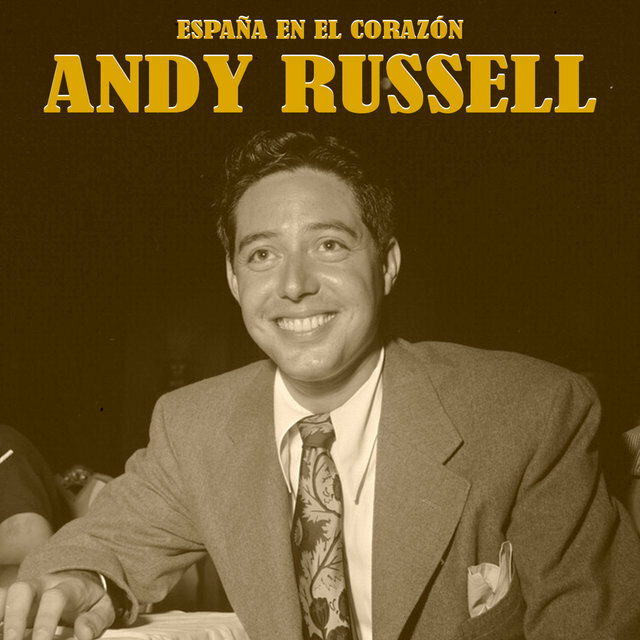 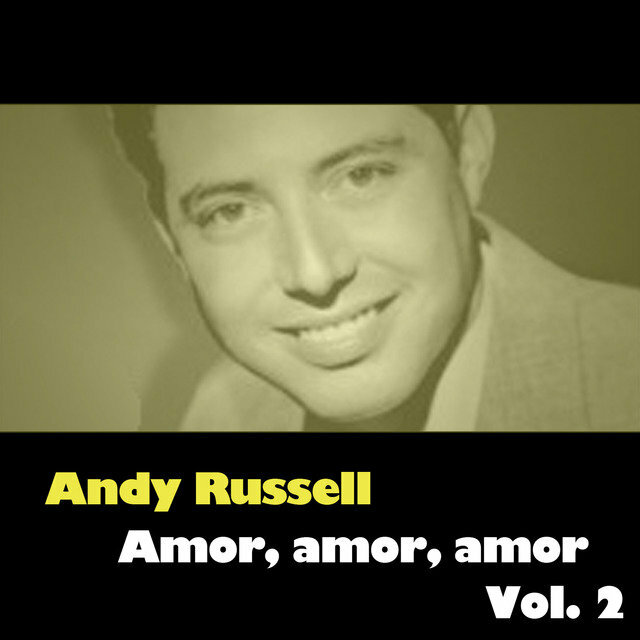 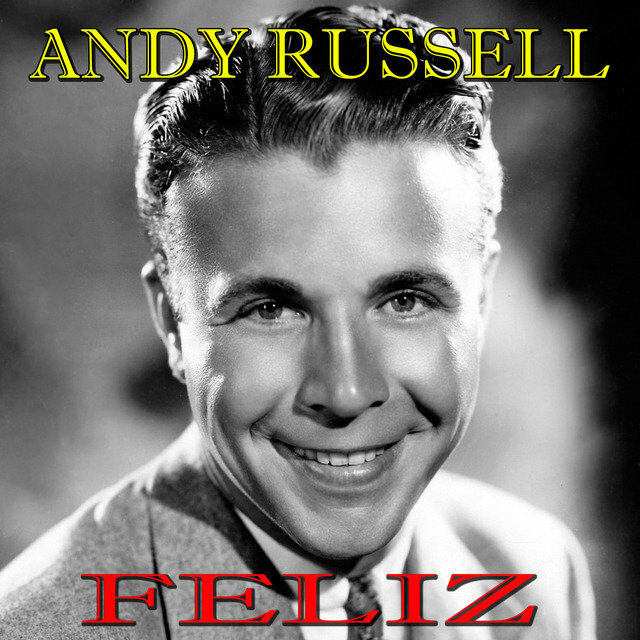 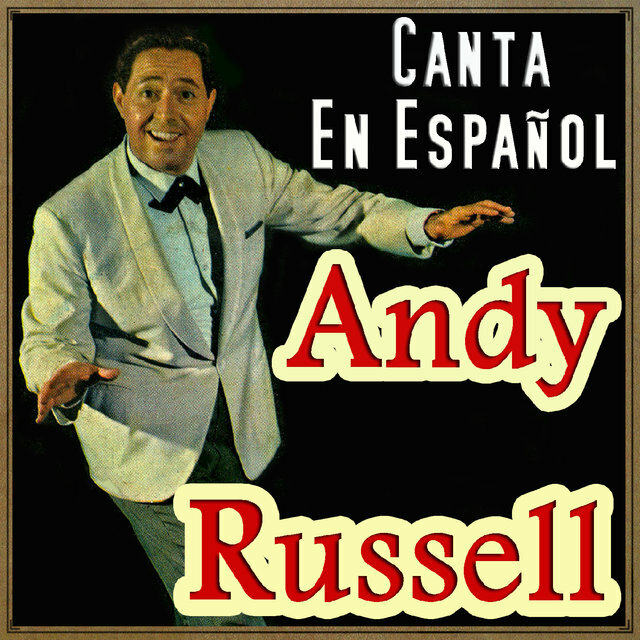 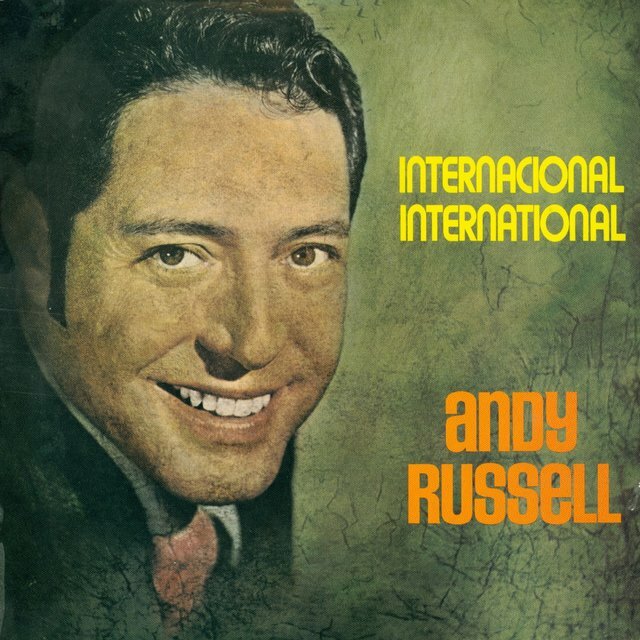 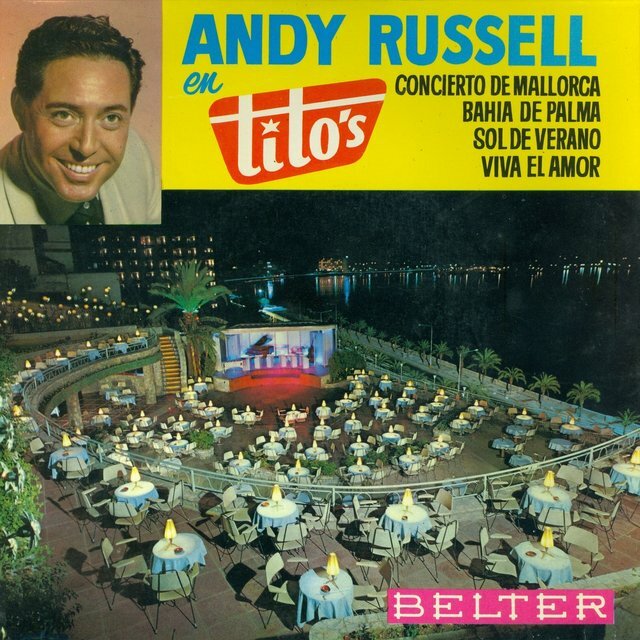 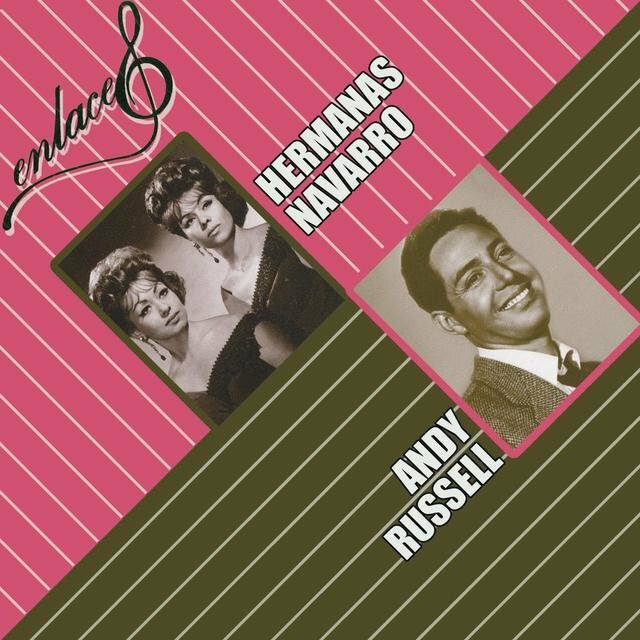 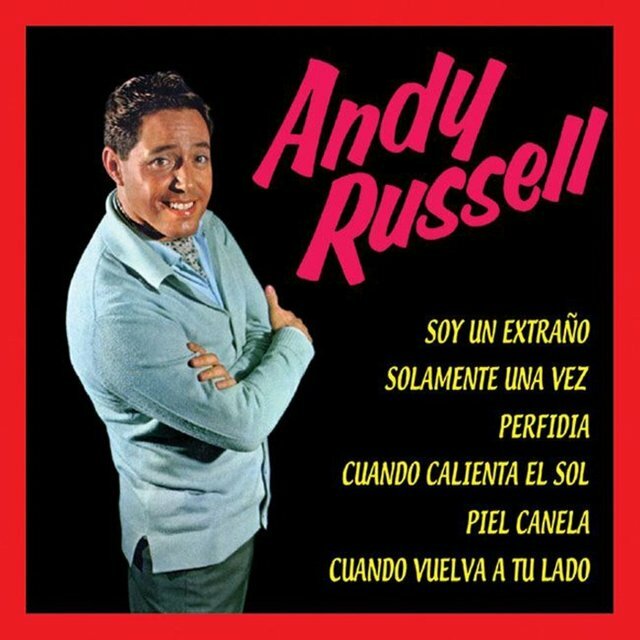 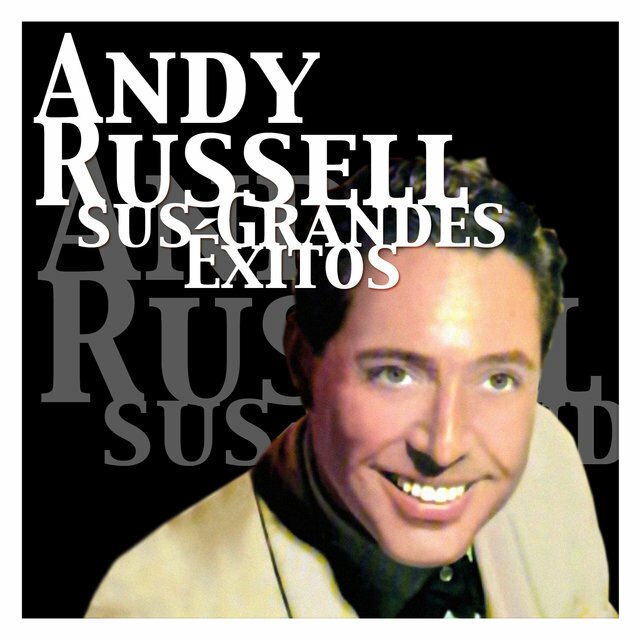 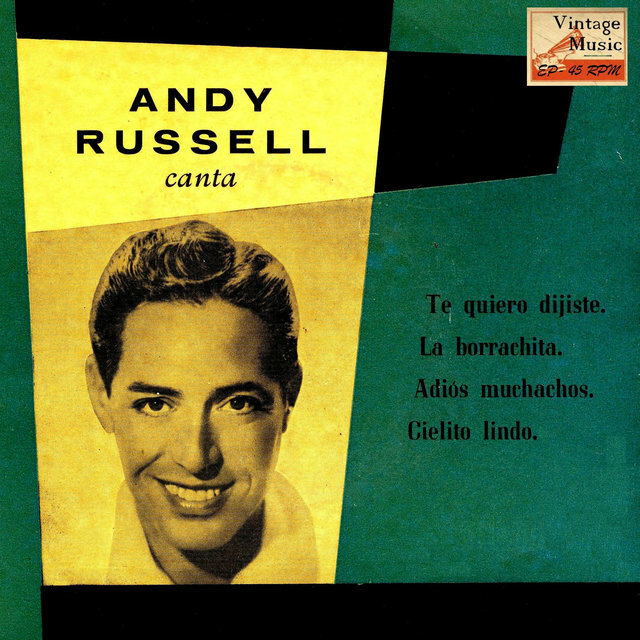 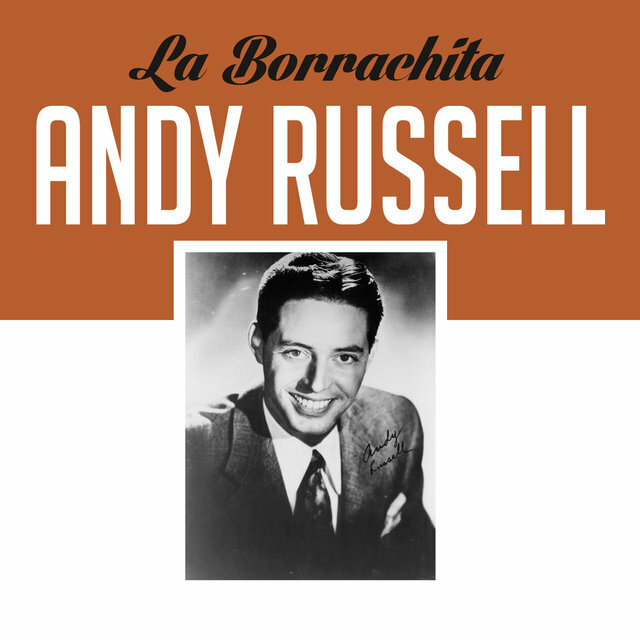 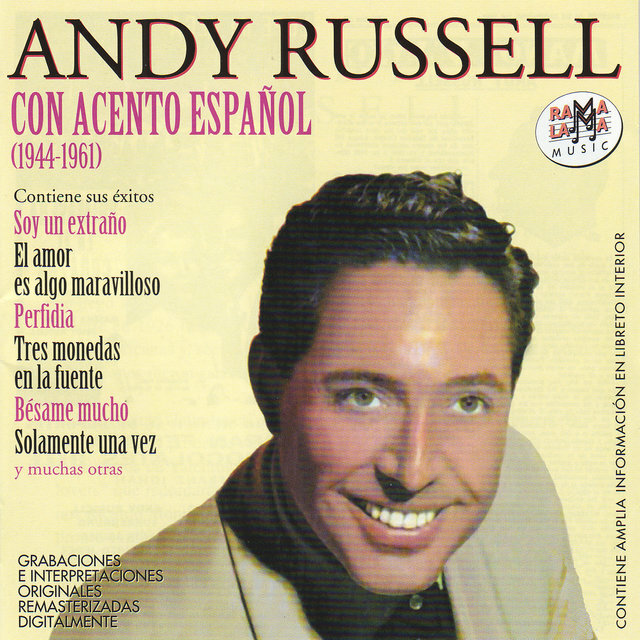 The son of Mexican-Spanish parents, Russell was a popular singer in the USA during the 40s, with a romantic image and a penchant for Latin American numbers. 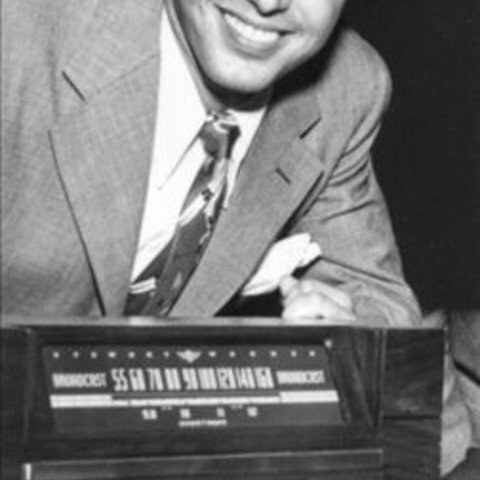 In the early 40s he worked with several bands, including Sonny Dunham, Gus Arnheim and Johnny Richards, sometimes also playing drums. 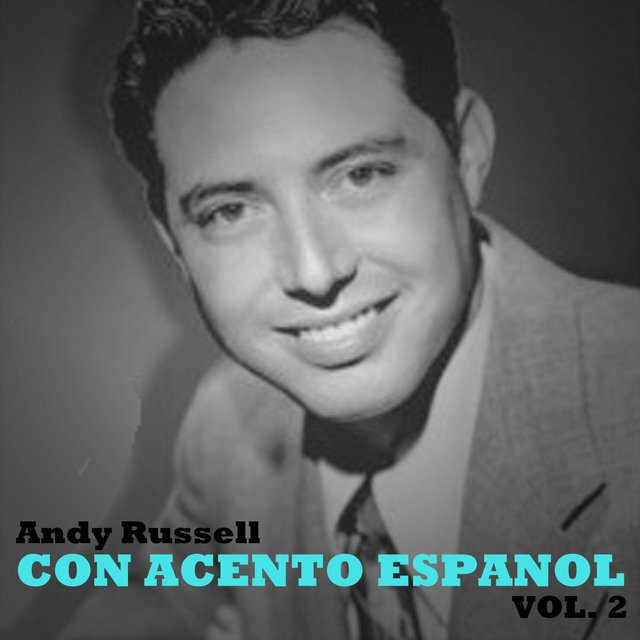 In 1942, he was one of seven vocalists with Alvino Rey’s big band, but was unable to record with the outfit because of union leader James Caesar Petrillo’s infamous musicians recording ban. 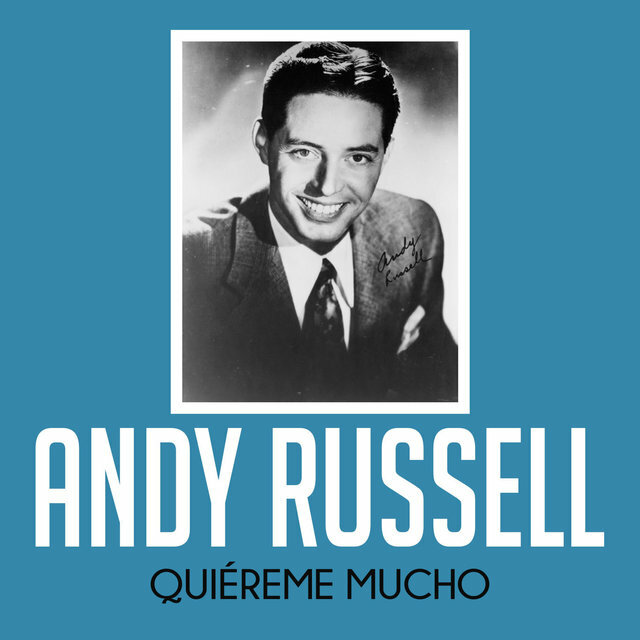 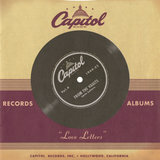 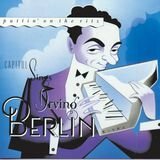 His own hits, for Capitol Records, began in 1944 with ‘Besame Mucho’ and ‘Amor’, and continued through until 1948, with romantic ballads such as ‘What A Diff’rence A Day Made’, ‘I Dream Of You’, ‘I Can’t Begin To Tell You’, ‘Laughing On The Outside (Crying On The Inside)’, ‘They Say It’s Wonderful’, ‘Pretending’ and ‘Anniversary Song’. 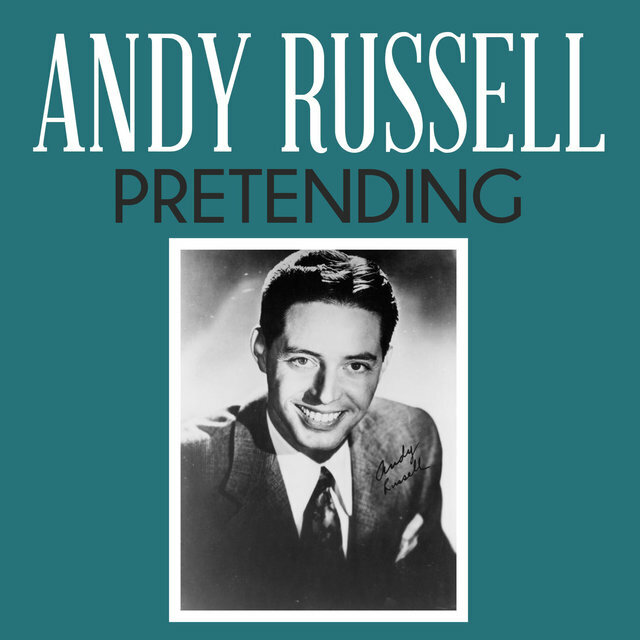 He also recorded Billy Reid’s ‘I’ll Close My Eyes’ and Bud Flanagan’s ‘Underneath The Arches’, on which he was accompanied by Tommy Dorsey’s old vocal group, the Pied Pipers. 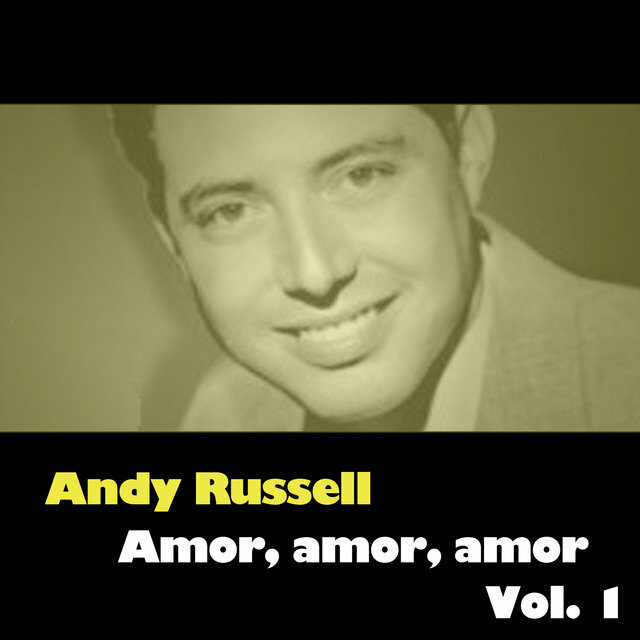 Russell was also successful with ‘Je Vous Aime’, which he sang in the film Copacabana, starring Groucho Marx. 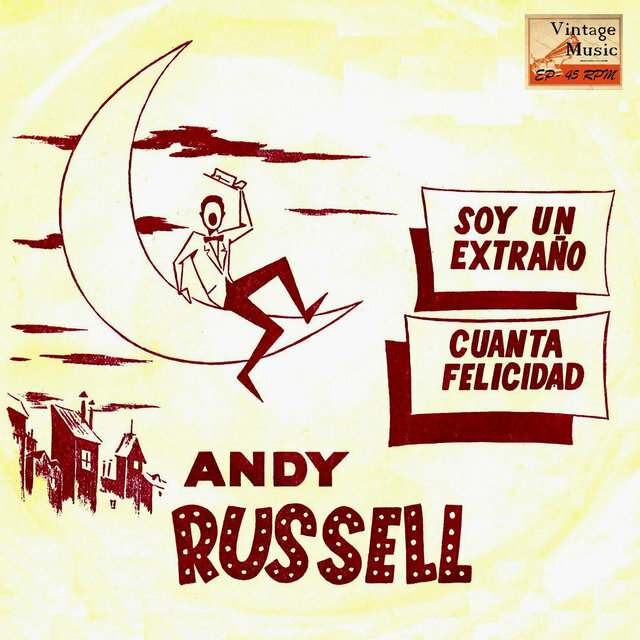 Russell’s other movies included The Stork Club, in which he joined Betty Hutton on ‘If I Had A Dozen Hearts’, Make Mine Music, a series of short Walt Disney cartoons, for which Russell contributed ‘Without You’, and Breakfast In Hollywood, derived from a radio series of the same name, and featuring artists such as Spike Jones And His City Slickers, and the Nat ‘King’ Cole Trio. 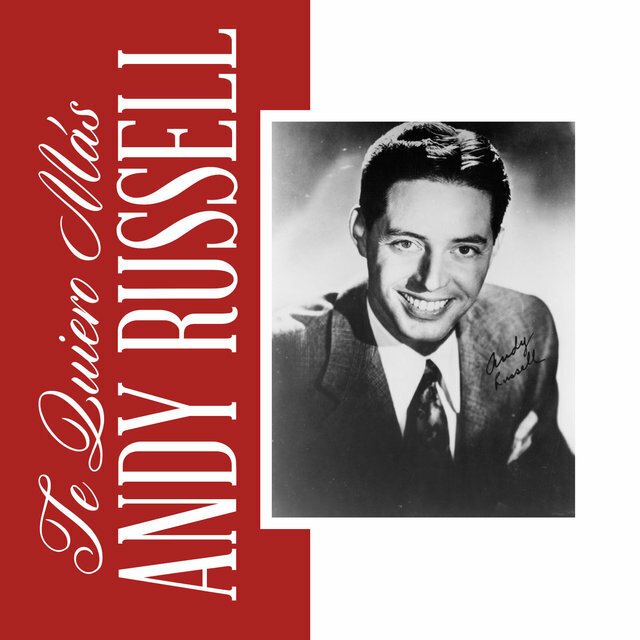 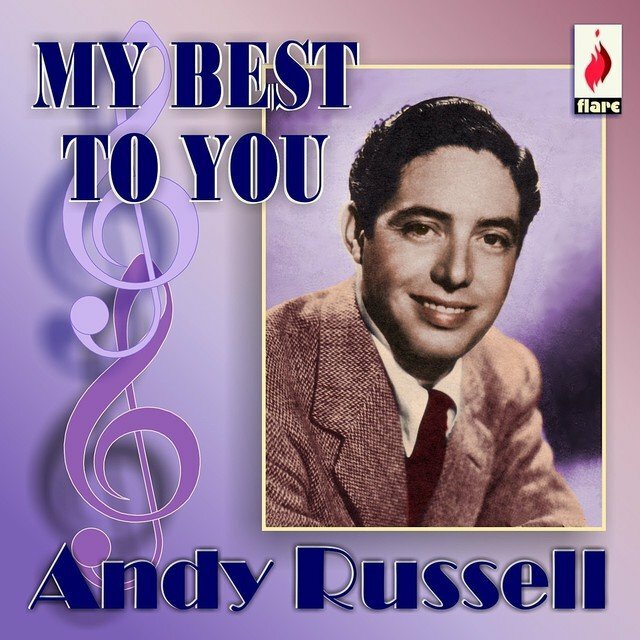 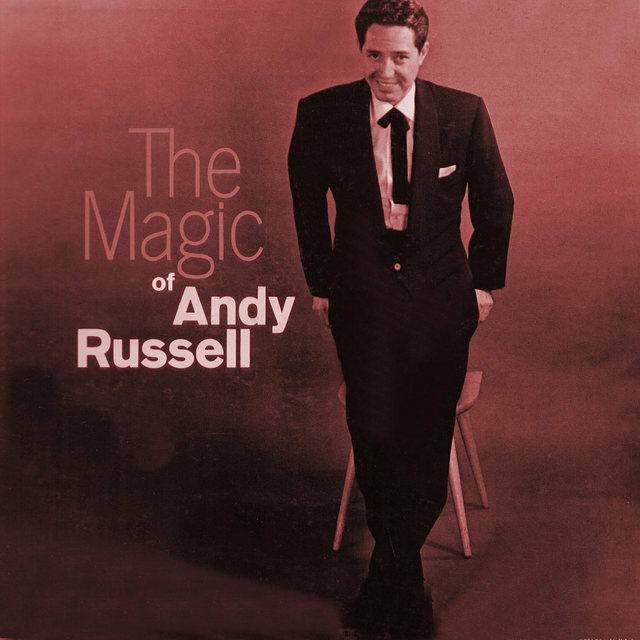 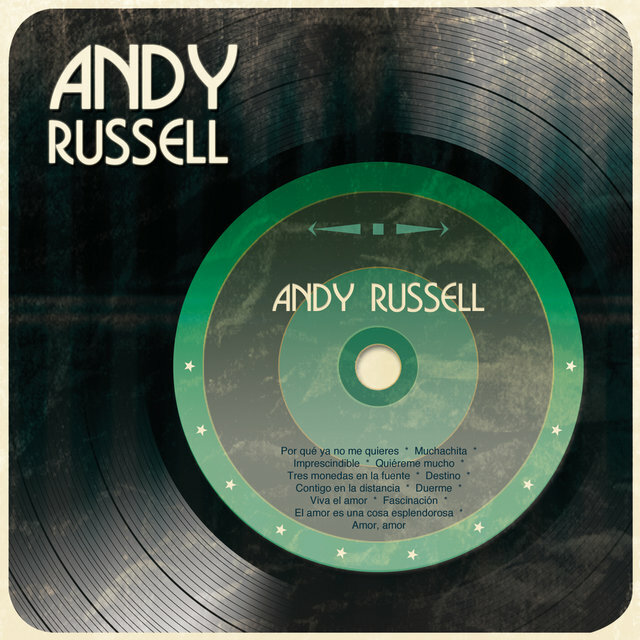 Russell was very popular on US radio during the mid-late 40s on the Old Gold Show andLucky Strike Hit Parade. 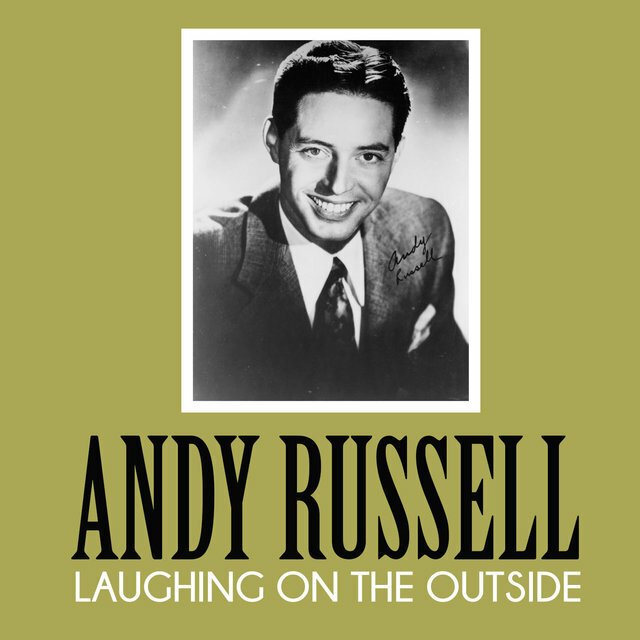 He also appeared at many top venues, including the Paramount Theatre in New York. 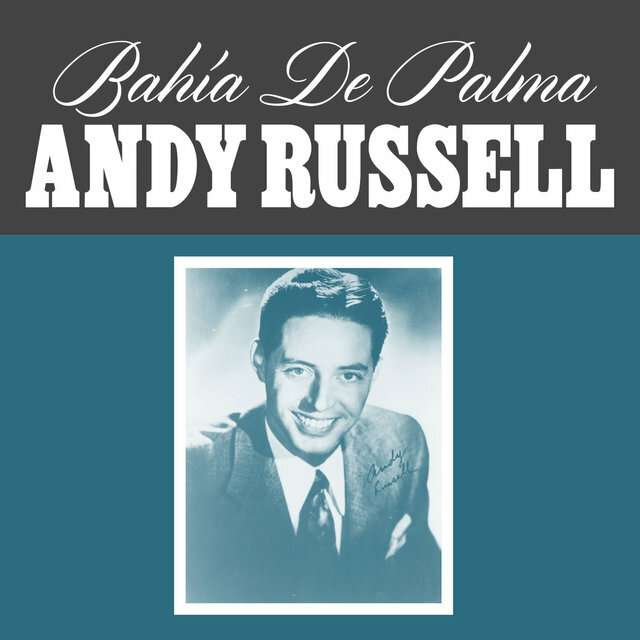 In 1947 he was in Los Angeles, deputizing for Frank Sinatra who, with Bing Crosby, had declined to sing one of the nominated songs in the annual Academy Awards Ceremony. Russell moved to Mexico City, and became successful there on radio, television and in movies. 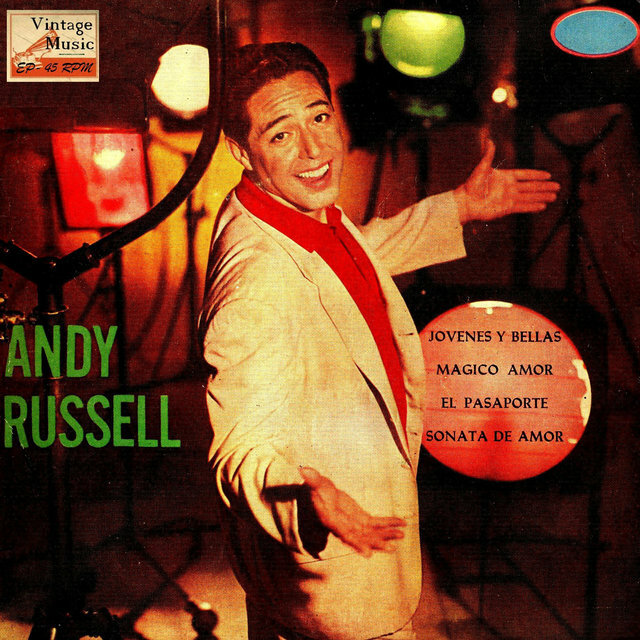 In the late 60s he returned to the USA where he continued to sing, and appear on television. 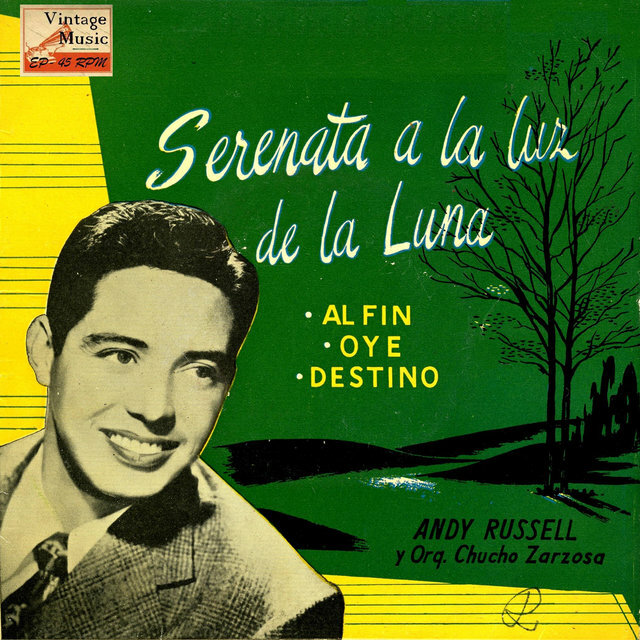 Vintage Vocal Jazz / Swing Nº 78 - EPs Collectors, "Serenata A La Luz De La Luna"